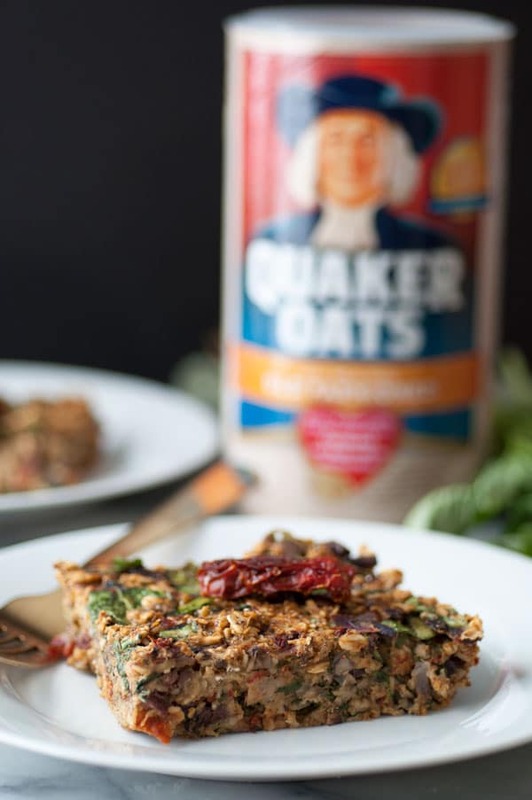 We partnered with The Quaker Oats Company to bring you this delicious Savory Vegan Baked Oatmeal. It’s perfect for breakfast or whenever you’re in the mood for something warm and satisfying. 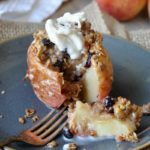 This warm and savory baked oatmeal has been a staple in our house since winter showed up with a vengeance. Filled with oats, spinach, mushrooms, basil, rosemary, green onions, sun dried tomatoes, Kalamata olives and fresh herbs, it’s the ultimate cold weather meal. We eat it for breakfast, lunch and dinner. 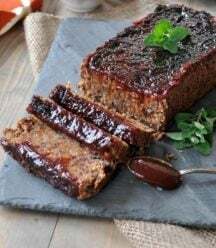 The vegetables and oats are baked with vegetable broth and a flax egg that binds the ingredients together and gives it a wonderful firm and chewy texture, and the flavors are so incredibly delicious. 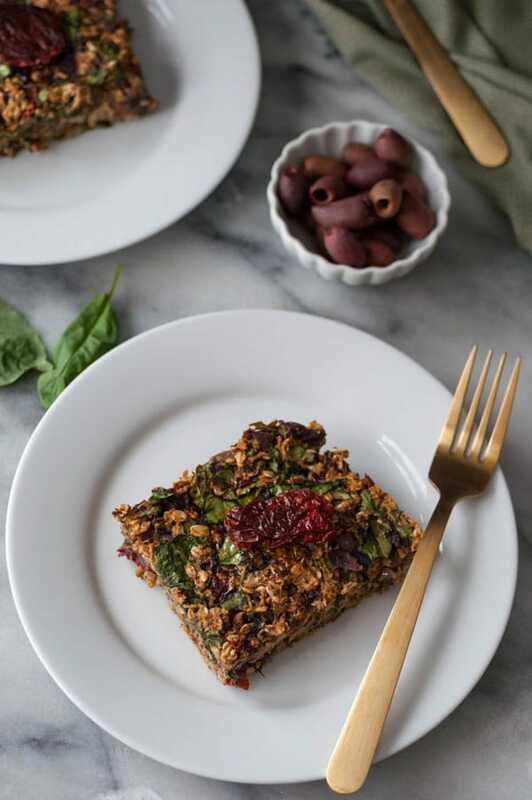 The nutty oats, salty olives, intensely sweet and savory sun-dried tomatoes, peppery fresh basil, piney rosemary, and rich umami flavored Portobello mushrooms ensure that every bite is a pleasure. 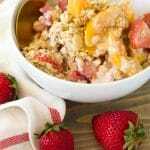 If you’re a fan of frittatas, quiche, or breakfast casseroles, then you’re going to love this Mediterranean style baked oatmeal recipe. 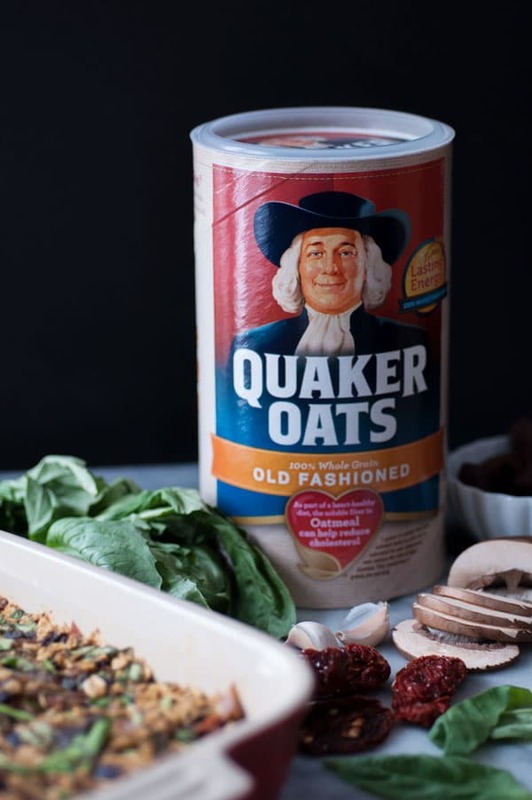 It has so many exciting flavors, and because the main ingredient is Quaker Old-Fashioned Oats, you get an extra boost of fiber. Oats are important for heart health, thanks to a soluble fiber called, Beta-glucan. 3 grams of oat soluble fiber when part of a heart-healthy diet may help reduce the risk of heart disease. A serving of Old Fashioned Quaker Oats has 2 grams. Oats are high in fiber, which is important for your digestive tract. You want to keep things moving, and eating oats, along with other whole grains, fruits and vegetables will help you do just that. Aim for 25-30 grams of fiber each day. 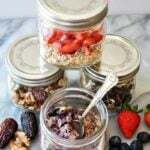 Oats may also provide longer lasting energy. Whole grains are metabolized at a slower rate, therefore providing your body with a steady source of energy. We eat oats in some form at least four to five times per week, and Quaker ® Old-Fashioned Oats have been our go to source since I was a kid. The Quaker Oats Company has been providing the highest quality oats for over 140 years, and has been a part of my life for over 50 of them. Amazing! 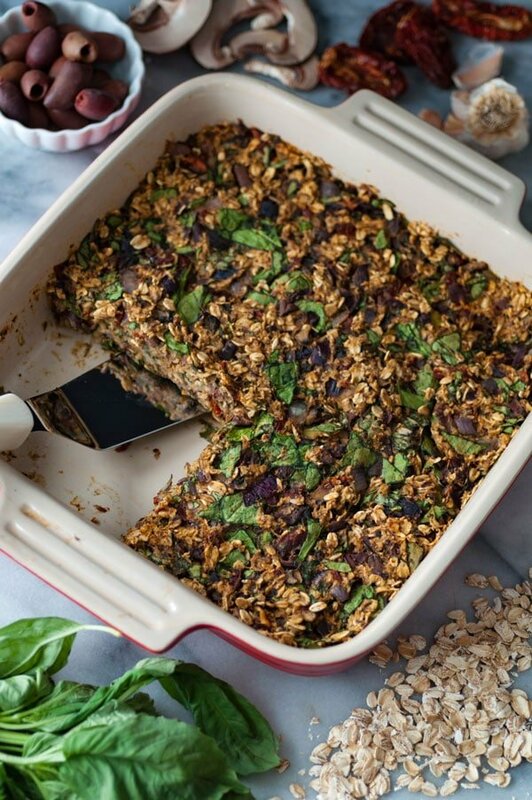 Now that you know how delicious and good for you our savory vegan baked oatmeal with spinach, mushrooms, and fresh herbs is for you, let’s make some! First – Toast the oats for about ten minutes so they develop a lovely nutty flavor. Second – Chop the vegetables and sauté them in vegetable broth. Third – Mix all of the ingredients together in a mixing bowl and then firmly press the mixture into a pan. Fourth – Bake for approximately thirty minutes, or until it’s golden brown. Four easy steps is all it takes to make a warm and comforting breakfast. If you want to save time, prep the vegetables the night before and put it all together in the morning. It’s also great reheated, so feel free to make it ahead of time and pop it in the oven to reheat when you’re ready to eat it. 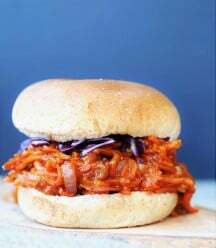 It can be refrigerated for up to 5 days or you can freeze it. 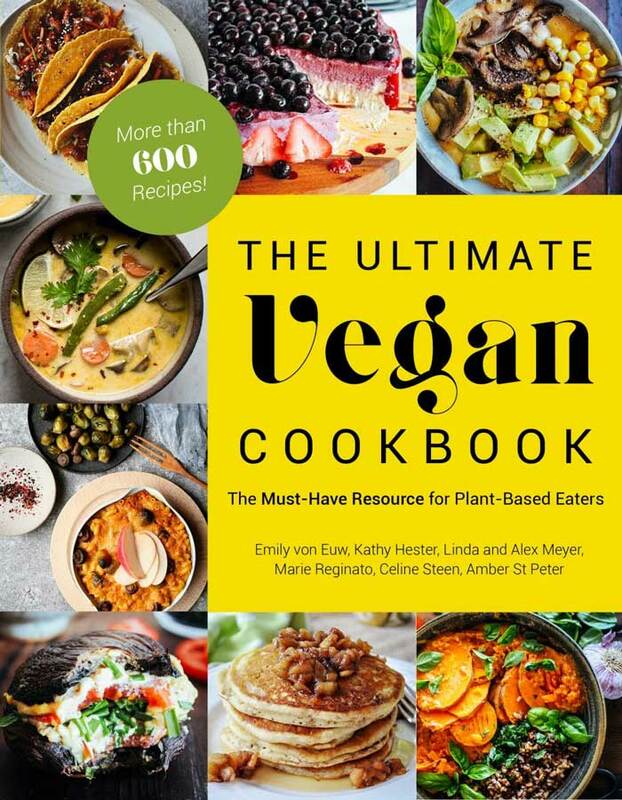 Make this and let us know what you think, and take a picture of it and tag us @veganosity on Instagram. We love hearing from you and seeing your creations. 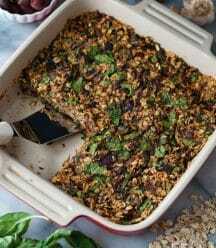 Savory and delicious baked oatmeal with spinach, Kalamata olives, sun dried tomatoes, fresh herbs, and more! Oil-free! In a small bowl, whisk the flax seed and water until it forms a thick paste. Let sit while you prepare the rest of the ingredients. 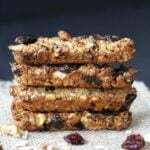 Evenly spread the oats on a rimmed baking sheet and toast for approximately 5 minutes, or until they are lightly golden and have a wonderful nutty aroma. Put in a large mixing bowl. In a large skillet, heat 3 tbsp (45 ml) of the vegetable broth on medium heat and add the mushrooms and green onions. Cook for approximately 10 minutes, or until the mushrooms release their water and are browned. Add the garlic and cook for 2 minutes. Add 1 or 2 tbsp (15 or 30 ml) of vegetable broth and scrape any stuck-on pieces in the pan and place in the mixing bowl with the oats. Add the spinach, basil, sun dried tomatoes, olives, rosemary, dried Italian seasoning, salt and pepper, and flax mixture and stir until well combined. Add the remaining broth to the bowl and stir until well combined. Pour the oat mixture into a 9-inch (23 cm) round or square pan and bake for 30 to 35 minutes, or until the oats are firm and golden brown on top. Let sit for 5 minutes before cutting. Nutrion Facts are an estimate only. The numbers can vary depending on the brand of products you use and how accurate measurements are. I love my oatmeal very simple and boring, usually some fruit(berries or apples) with some nut butter, splash of milk, and make a sprinkle of cinnamon. I like to bake them into chocolate chip oatmeal cookies! 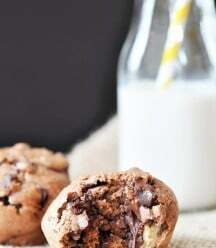 Yum, we love that kind of cookie. Thanks, Kayley! I usually use Quaker Oats to make overnight oats. I never thought to make a savory baked oatmeal. What a great idea! Thanks Amy! I love savory oats even more than sweet, then again I'd take a bag of chips before a bag of candy. Ha! YUM!! 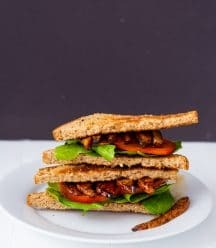 We are big fans of savory breakfasts in our home, this sounds great!! I use any fruit, nut, and seed. Microwave with soy milk and cinnamon. This sounds great, very creative - thanks! 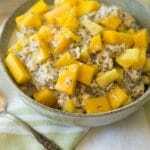 I usually like oatmeal with sauteed fruit in a little coconut milk and sweetener. Thank you! I haven't used coconut milk in my oatmeal, that sounds great! Thank you so much, Uma! Let us know what you think if you try them. Quaker oats have been such a big part of my childhood. The Quaker man was always hiding in my cupboard everyday with his top hat on, waiting to be emptied into a pot. 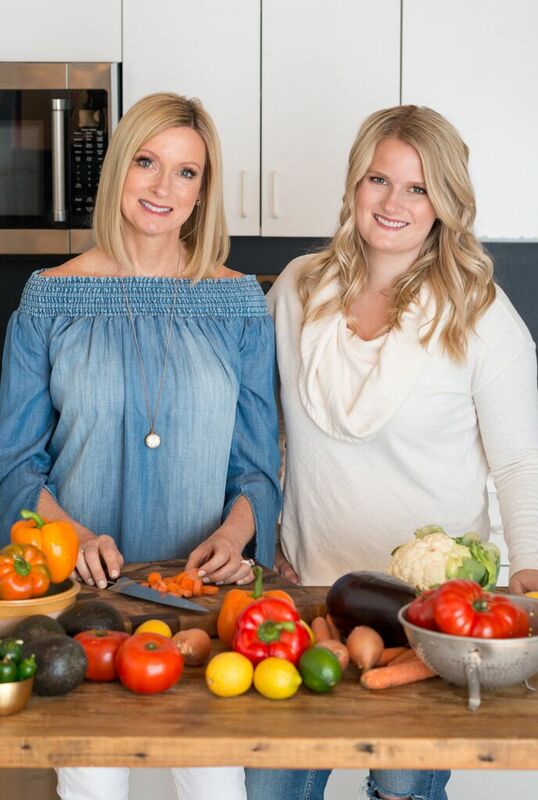 Very cool that you got to partner with them and create such a delicious recipe as a result!! Isn't that funny, how we all relate to that old Quaker?! :) Love it! Thanks, Nicole. Wow this looks amazing! I definitely don't eat enough oats. Can't wait to give this a try! Thank you! Let us know what you think! Sounds like the perfect breakfast, thanks Heather! I love to eat my oatmeal naked. The oatmeal, not me. 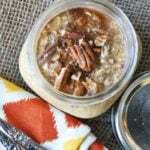 I love to make apple cinnamon oatmeal using Quaker oats! I also like to make oatmeal butterscotch cookies. Also - what temperature to bake at? I'm not seeing it? Hi Vic, the temperature is 350 F, sorry, we're changing our recipe cards and it missed the instruction. I tested this recipe a dozen times and the amount of liquid is just right. More and it's mushy, less and it's too dry. Just be sure that you don't bake it too long. Every oven is calibrated differently, so check it about 5 minutes before the suggested baking time to see how it looks. This was really delicious! 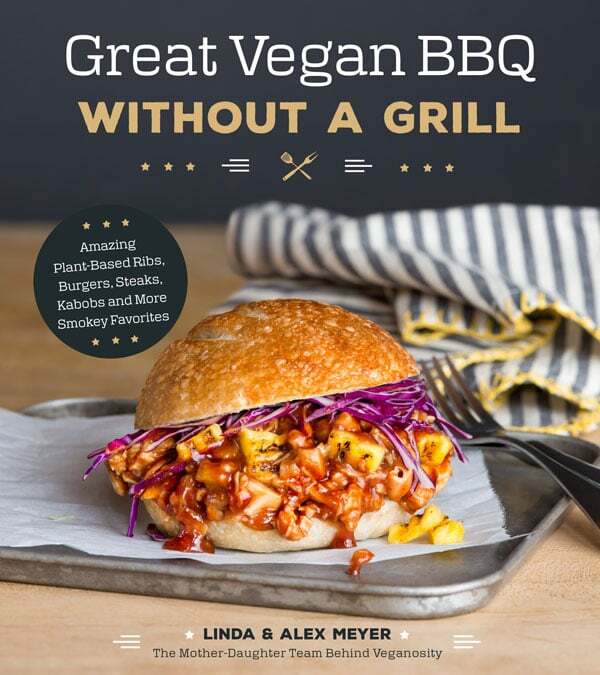 I used a regular egg instead of a flax egg and added feta cheese to make a vegetarian version, but it was surprisingly moist and my whole family loved it. The mushrooms really make it scrumptious, and the vegetable broth keeps it from being too bland. Next time, I might add some paprika and red pepper flakes to give it a hint of spice. 10/10 would recommend this recipe! And it keeps you full, too.